Parks Victoria produces regular video updates to highlight the progress that has been made on the external maintenance works program at the Mount Buffalo Chalet. 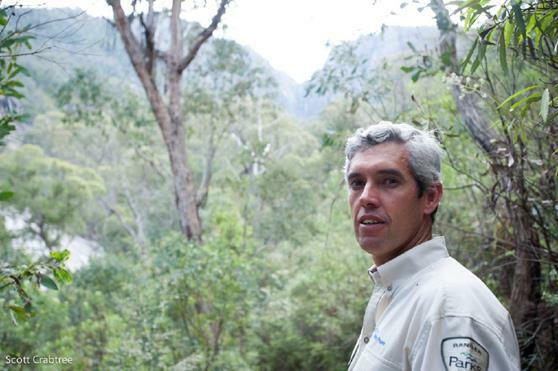 This is the second video blog featuring Julien Atherstone, Area Chief Rangers Ovens. Works are on track and there have been some significant structurual milestones achieved over recent weeks with over 500 stumps replaced, a number of bearers replaced that had been sitting on the ground and external walls reclad. The water supply line from Crystal Brook was also reconnected this week. The video updates will also be available at www.parks.vic.gov.au/mountbuffaloprojects along with information about the range of projects underway to improve Mount Buffalo National Park. Please help us spread the word by sharing the video updates to other interested individuals or organisations. Parks Victoria encourages interested people to visit Mount Buffalo National Park and spend some time wandering around the Chalet grounds to see for themselves the transformation of the building. The Buffalo weathervane sitting atop the Chalet, surveying the changes! If you would like further information about any of the projects underway at Mount Buffalo National Park, please contact Julien Atherstone, Ovens Area Chief Ranger on 13 1963. Parks Victoria plays an important role connecting people with nature. Healthy Parks Healthy People. What is happening at Mount Buffalo CHALET? The current plan is to make all of the existing buildings weatherproof and safe. Welcome to Parks Victoria’s regular newsletter, providing visitors and interested local community members with an update on activities and our ongoing work to improve Mount Buffalo National Park. There have been brief bursts of summer in the North East over the past few weeks, enough sunshine to wake the mountain. The mornings are song-filled with the chatter, squawks, croaks, rustles and tweets of birds, frogs and insects; and, across the snow plains, it is like an artist has applied broad brush strokes of vibrant colour. With the opening of the Lake Catani Campground, works have commenced to upgrade the septic system at Lakeside which will be completed before the end of December. In February, the redesign and refurbishment of the stone structure will commence. The original footprint of the building will accommodate an open-plan picnic shelter with tables and free gas barbeques and an enclosed area with well-lit modern toilet facilities. We are confident that the end result of a sheltered picnic area over-looking the lake will be highly sought after, and staff are already hearing of locals who plan to escape the heat of late summer by bringing the extended family up to relax and swim at the lake. The Parks Victoria team looks forward to welcoming you to Mount Buffalo National Park and wishes you and your families a safe and healthy New Year! Parks Victoria is introducing regular video updates featuring Julien Atherstone, Area Chief Ranger Ovens and Cameron Sanderson, the Project Manager overseeing the external maintenance works program at the Chalet. Please help us spread the word by sharing the update to other interested individuals or organisations. 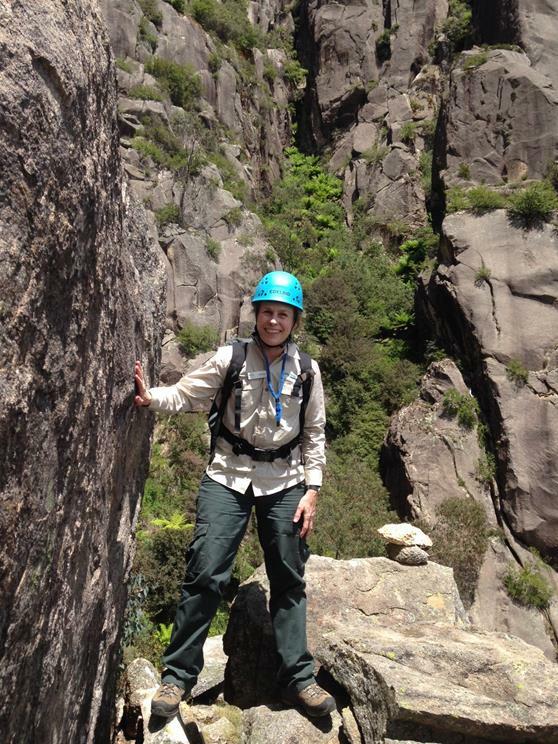 Parks Victoria welcomed Amanda Smith, our latest Seasonal Ranger to the Buffalo team earlier this month. Amanda will work through until Easter and her expertise in guided children and family activities will be a great addition to the team. Amanda plans to reintroduce campfire nights at Lake Catani with damper-making, games, music and good old-fashioned family fun. ‘Light on the hill’ to be switched back on! For many people who live in the Ovens Valley, the sight of the ‘light on the hill’” shining down from the Chalet as they drove along the Great Alpine Road was both a comfort and an inspiration that Buffalo and the Chalet were there. Since the Chalet’s closure, the light has been turned off and Parks Victoria has received many comments from locals and visitors alike that it will be a significant milestone to see the light switched back on. The lower old train light and the higher spotlight at the front of the Chalet have recently been removed to be refurbished and have energy efficient globes installed. Parks Victoria is delighted to confirm that when the external maintenance works are completed next year, with a newly installed remote power system, the ‘light on the hill’ will be ceremoniously switched back on to signify the new chapter in the Chalet’s history. These pictures show some of the recent works underway at Mount Buffalo National Park and we couldn't resist including a picture of Lake Catani with the wildflowers in front of the sign. The top two pictures are of the Chalet with the windows removed for restoration and the rhodendrons in full blossom as well as restored weatherboards and windows along the north wall. The bottom right hand picture is the commencement of work at Lakeside Day Visitor Area. With the $2.8 million external maintenance works well underway, much of the hard work up to this point has been on the not-so-obvious but fundamental projects such as restumping and restoring structural integrity. However, the recent reinstallation of the famous archway at the entrance to the Mount Buffalo Chalet Gardens has been an exciting milestone for Parks Victoria staff and the local community. The previous archway, with flaking paint and rotten timbers, was taken down several months ago and with precise attention to detail, former Chalet Gardner, Alex Fraser re-routed a new piece of timber, milled to the same standards as previously and the archway is back to welcome visitors to the Chalet. 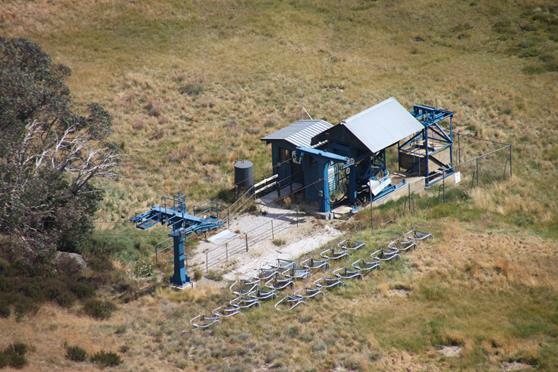 For the last 10 years, since the Mount Buffalo Ski Resort closed, the lift infrastructure at Cresta Valley and Dingo Dell has stood unused, rusting and dilapidated. The impact of changing climate conditions with declining snow falls, combined with the huge costs of reactivating the lifts, has informed Parks Victoria’s decision to run an Expression of Interest (EOI) process next year for the removal the ski lifts. The removal will both restore the natural values of the site and allow an improved visitor experience with snow play, bushwalking and cross country skiing at the site. The removal will also allow Parks Victoria to consider viable options for the site’s future use as part of the Visitor Experience Plan, ‘Strategic Directions for Mount Buffalo National Park’ currently under development. Parks Victoia has released the Greater Alpine National Parks Management Plan, the strategy for managing 900,000 hectares of our State, including the Alpine, Baw Baw, Errinundra, Mount Buffalo and Snowy River National Parks, Avon Wilderness Park, Tara Range Park, and Walhalla, Howqua Hills, Grant, Mount Wills and Mount Murphy Historic Areas. 8. Benefits beyond boundaries — weeds and dogs. Mount Buffalo is one of Victoria’s oldest national parks, dating to 1898 when the government reserved 1165ha around Eurobin Falls. The park now covers over 31 000 ha. One of the goals of the Management Plan is conserve the cultural significance of the historic areas and places. Supporting the management of Mount Buffalo Chalet in accordance with the Heritage Act to enhance visitor experience and conserve heritage is a strategy highlighted in the Management Plan. For further information about the Greater Alpine National Parks Management Plan visit www.parkweb.vic.gov.au/alpsplan and to read the media release for the Minister for Energy, Environment and Climate Change, Lily D'Ambrosio, click here. 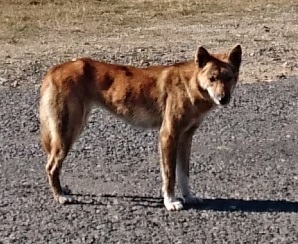 Julien Atherstone, Area Chief Ranger, Ovens said: "It's important that visitors do not feed or interact with dingoes as they are wildlife that should not be confused with or treated like domestic pets”. Parks Victoria supports the wild dog control program that DELWP currently implements at the base of Mount Buffalo to protect livestock from the impact of wild dogs. The Wild dog control program is developed by DELWP in partnership with the community.